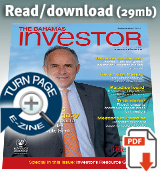 The government’s new trade portal to support investors tops the business news in The Bahamas. Watch a ZNS Network news report here. Deputy Prime Minister and Minister of Finance Peter Turnquest said that capital is one of the important elements that the government is addressing to cultivate a “high growth economy” in The Bahamas. Prime Minister Dr Hubert Minnis is scheduled to attend the 38th Regular Meeting of the Conference of Heads of Government of the Caribbean Community in St. George’s, Grenada, this week.